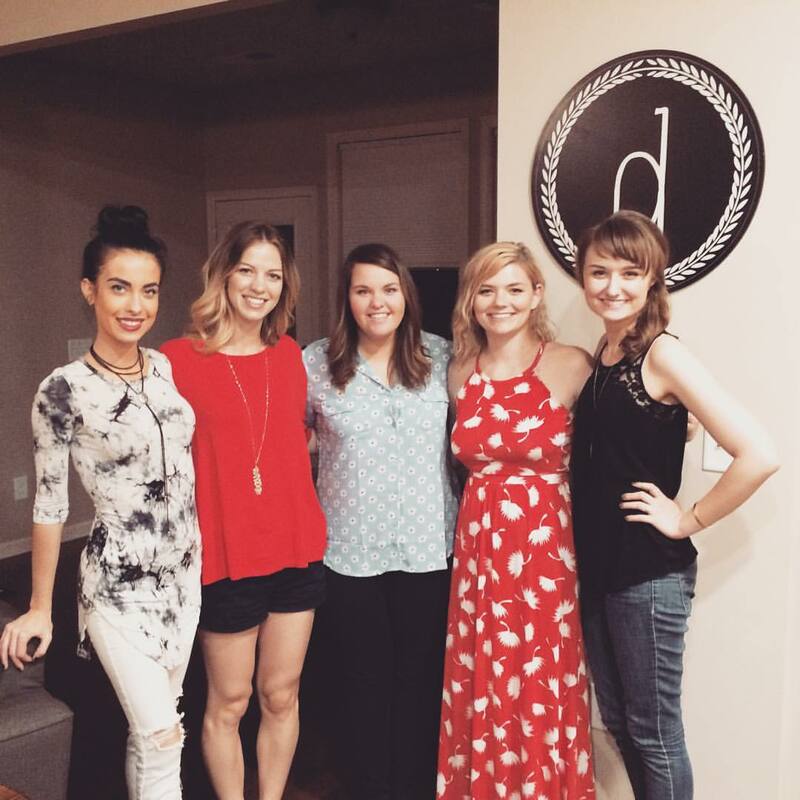 this past week i had the opportunity to host a girl's night at my house! i hadn't seen or been able to spend time with all of my girlfriends at one time and it was definitely a much needed night to catch up, laugh, and have fun! everyone came in from different places and out of town and we were able to eat and hang out together. i have always dreamed of having a house one day that i was able to share wonderful memories with my husband, family and friends and this has definitely came true and i couldn't be more thankful. everything turned out great and we had such a great time! i wanted a simple table setting with cute gray bows for napkins. i gave each gal a take home favor of stationery & a monogram sticker. if you are anything like me, i love love love favors, gifts, and small tokens of happiness to give others :) giving stationery to friends is always fun!! i hope you all enjoyed your weekend as much as we did. i had girl night and then had my family in town from indiana and memphis all weekend for my dad's birthday! happy birthday again dad, we hope you enjoyed it!! the weekend was full of estate sales, antiques, good food, and good family time. what did you all do this weekend?? i would love to hear about your weekend too! i have many things coming up soon for dots & details. it's an exciting time for me filled with a lot of new beginnings. i can't wait to see you again soon this week :) as always thank you for coming by!